Professional military education has an inside baseball stigma that is hard to shake. The topic often receives a “so what” shake of the head when it comes up for discussion at conferences. And it rarely comes up on Capitol Hill since Rep. Ike Skelton, D-Mo., the strongest advocate of professional training in the military, lost his seat in 2010. Yet it was Congress that required two-tiered professional military education at the command and general staff colleges, war colleges, National Defense University and Industrial College of the Armed Forces. Thousands of officers eligible for promotion must complete specific education requirements before moving up in rank. This was a key ingredient in the 1986 Goldwater-Nichols reform law that emphasized unified mission objectives over service parochialism and the need for the military and civilian arms of government to work together to educate the nation’s armed forces. During the last 10 years of war, waivers of these requirements have been routinely given to officers focused on battlefield assignments, setting the military’s academic programs adrift. The services insist there will be no more waivers. While combat experience is important, officials are saying service members must learn how to lead in other situations and will have to go to school to be promoted. We’ll see. For many officers, the objective of professional military education is to be selected but get out of going, according to retired Army Maj. Gen. Robert Scales, a former commandant of the Army War College. That idea has to be put to rest. “They need to see the value” of attending the war colleges, he says, beyond the accelerated master’s degree. 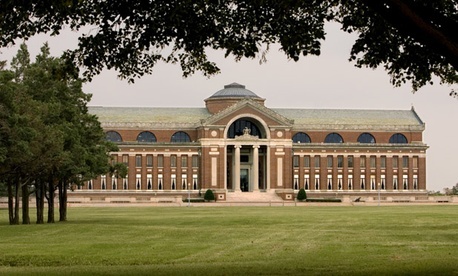 The senior-level resident program at the Army War College, for instance, is a 10-month stint. Most civilian master’s programs take up to two years to complete and require a thesis or special project. The military services need officers, warrants and noncommissioned officers with broad perspectives. “The Army has a set of lieutenant colonels, colonels and senior NCOs -- in both the active and reserve components -- who are less than fully prepared for senior leadership,” retired Army Lt. Gen. James Dubik warned in the June issue of ARMY Magazine, noting they lack experience at headquarters and education on how the Army operates. Likewise, NCOs have insufficient developmental and educational backgrounds to be effective as tomorrow’s sergeants major and command sergeants major. Complicating matters is a Defense Department debate over whether professional development programs should be considered education or training. The Army uses the phrase “select-train-promote” to describe its system of molding future leaders. Adding to the tension at the most advanced institutions is the changing relationship between the war colleges and the service chiefs, and between NDU and the chairman of the Joint Chiefs. In a world of rank consciousness, the fact that the last NDU president wore two stars rather than three is important. Looking at the war colleges, reporting directly to the service chief of staff puts a school commandant higher in the pecking order than reporting to the service training chief. The war colleges are considered the top of the military’s education system, but they need to “get rid of the deadwood,” Scales says. He argues the schools are staffed often by retired officers who transitioned out of uniform into their civilian positions and were never trained to teach, and a steadily growing crop of administrators with semi-academic titles. Joan Johnson-Freese, a professor of national security at the Naval War College, has a similar view of the practitioners teaching at the war colleges. Many have engineering degrees, she says, noting one could be a pilot or ship driver one week and the next week teaching history or national security. Johnson-Freese advocates a comprehensive career path in academia that provides time to research, write and develop relevant curriculum. Even though war colleges are accredited by the same authorities as civilian colleges, they are no John F. Kennedy School of Government. Likewise, Harvard’s Kennedy School and other elite programs offering graduate-level national security studies are not war colleges, which are in a unique position of being “both a college and a serious preparation for the defense of the nation,” says Johnson-Freese. That’s clear from Congress’ intent. Education at the most senior level in the military should concentrate on strategic thinking, military history, leadership, national security affairs and joint military operations. In his congressional push to beef up military education, Skelton emphasized these programs needed rigor. Scales agrees: “You give grades, and you have class standing” -- those two steps are absolute musts. The war colleges between World War I and World War II were known for their academic rigor and broad thinking. Today’s programs are in stark contrast, critics say. “The students are critically aware that no one fails,” Johnson-Freese wrote in a recent issue of Orbis, a publication of the Foreign Policy Research Institute. “Students should be told in no uncertain terms that they are not the masters or owners of the schools.” She noted that being selected to attend a war college was a privilege. What is at stake is not only how the U.S. military chooses to prepare a rising generation of flag officers, but whether this nation’s officer education systems will remain the gold standard for other militaries. It has a direct impact on the fledgling efforts by the services, the Army particularly, to develop a comparable professional education system for its civilians. As push comes to shove over federal spending, there is increasing pressure to scale back resident programs. Critics argue the services already have distance learning and should expand it. True, but some say gone is the collegiality and mentoring that is vital to educating adults, not necessarily training them. “Read, educate and think. There is no substitute for sitting down and reading,” says Rear Adm. John Christenson, president of the Naval War College. Entire institutions likely will go away in the budget crunch this year, even without sequestration, if they cannot demonstrate value. But as dark as the horizon may appear, there is cause for optimism. The Army recently surveyed 41,000 officers, warrants and NCOs who said they want to be pushed through crucibles to succeed in their profession. They realize they have a lot to learn. John Grady, retired director of communications for the Association of the United States Army, writes about defense and national security.